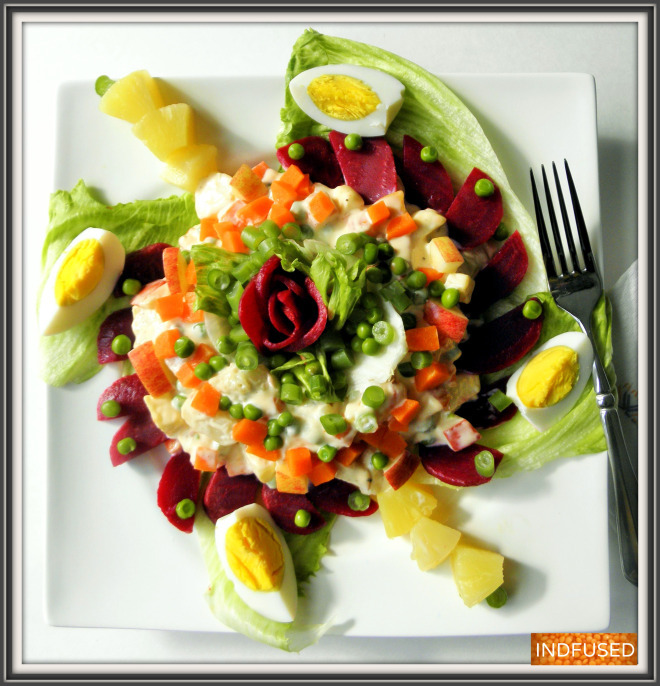 Sharing Pappa’s (my father’s) favorite- Russian Salad. I write this post with such a heavy heart. Even as I write, I am in disbelief that we lost Pappa, my dearest father, last week. As I grapple with my emotions, I know that my brother and I will always miss him. I remember my kind, loving, extremely witty, sports loving father, who was truly a gifted athlete himself. 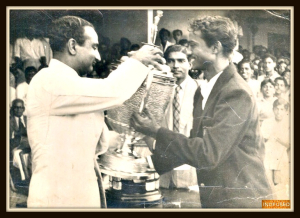 In his college days, he was the captain for Bombay University’s cricket team three years in a row! When I was growing up, I remember his many badminton tournament victories. In his later years, he went for his early morning walks, loved playing tennis, and going swimming. No matter which sport he picked, he was a natural at it! Condolences to your and your family in this hard time. Thank you so much Ronit. It is so kind of you to reach out to me. I am truly grateful. I am sure you are in disbelief that a year has passed. This is such a touching tribute Sandhya. Yes you are right Antonia. It is so hard to believe. My blog has been a good distraction for me. Thanks so much for your kind words. Very poignantly written, Sandhya. Words are always trite and inadequate, but know that he is watching over you with great pride, and you will always have his blessings.Take care. Thank you so much dear Sangeeta. Thanks Nandini. I have been thinking of you. I remember that you lost your dad around the same time last year. I hope you are doing okay and that your husband is too. Thank you so much Nandini. Have a great weekend. Will have to try this salad. My father has been gone for 10 years now but I miss him every day. Thank you for sharing. I lost my dad last year. The salad is one of my favorites too. Lina, thank you so much for thinking of me. I would love to judge but before I commit to it may I know how much time is involved in it? March is a crazy month so wanted to check. That would be okay then. Thanks again. Sorry to hear about your loss. Amazing sportsman. Awesome ! This sounds yummy!